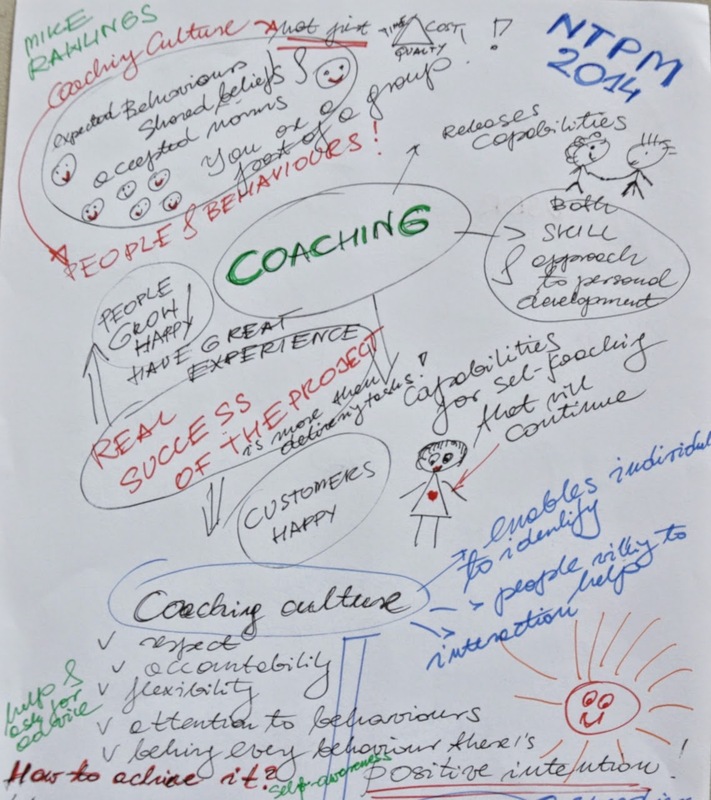 New Trends in Project Management 2014 - Part III: Shaking off the Legacy Mindset! New Trends in Project Management 2014 - Part I: Go Beyond Agile! a senior IS manager with National Grid undertaking of roles in portfolio, programme and service management in support of the Gas Distribution and Electricity Transmission businesses in the UK. Projects are delivered by people, for people and to people. Delivering to time, cost, scope/quality (gold triangle) does not ensure the project success any more. We need more: “achieving the outcomes that were intended ” something has changed for the better and in a way that was desired. What’s the definition of coaching? Through effective questioning, coaching aims to raise awareness, have the coachee take responsibility for their actions, and ultimately to improve their personal performance (taken from one of the coaching workshops). sustained behavioural changes that deliver long term value. than the sum of individual’s performances, is the key to a project success. and to make better choices that will lead to sustained project success. Adapt your style – to the needs of the team and the situation.